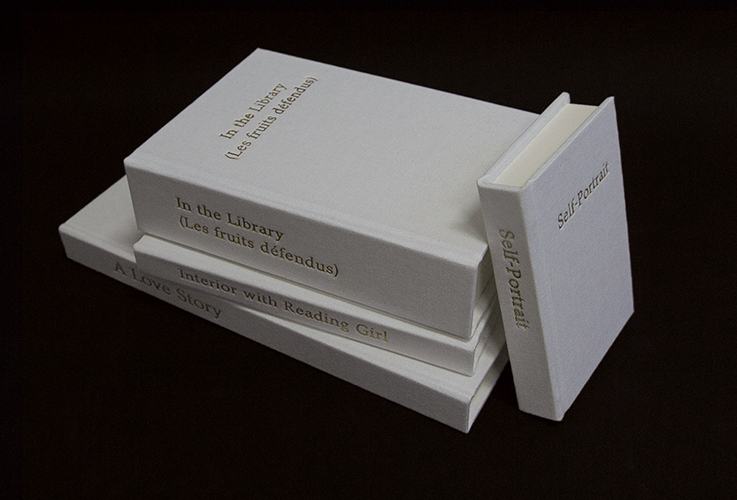 The work Blindbände (Dummies) is based on an examination of the imagery of reading woman. 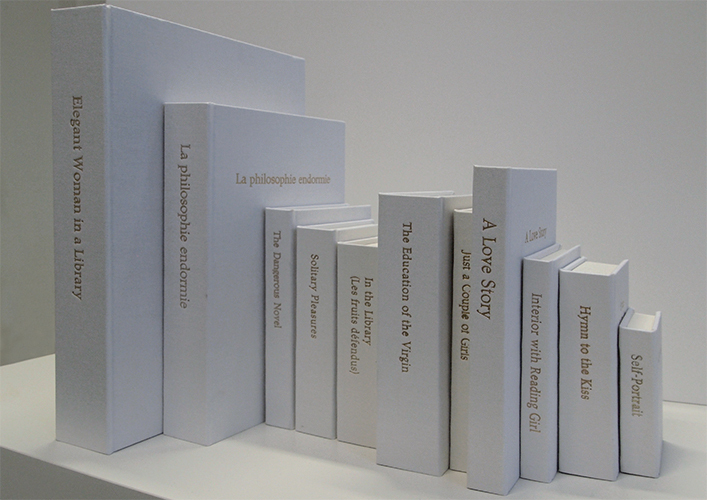 It consists of a series of empty white books, whose size and titles are taken from the image collection. 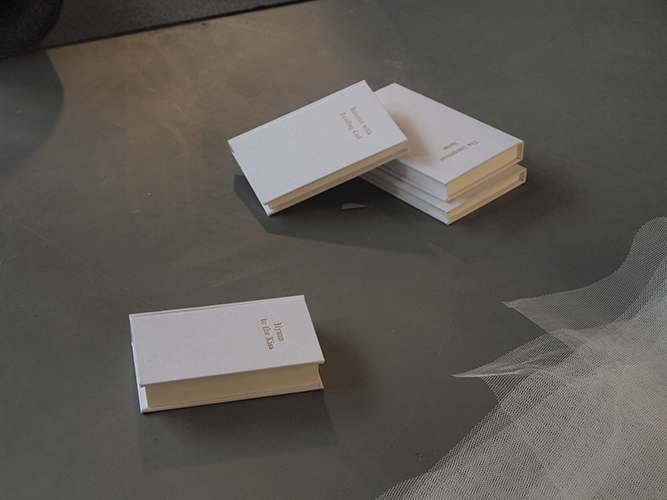 The books exist both as a seperate work but are also to be used as props in the installation Die Überläuferin in relation with the instructions from Intricate Rituals.